Bake Sale helping raise money for cancer research. Cancer is the uncontrolled growth of abnormal cells in the body, it can also lead to having a tumour. Like many diseases, it may be impacted by your lifestyle. 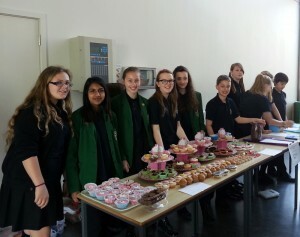 Our bakesale has raised over £100 to go to people all over the UK with all different sorts of cancer. The bake sale is one of the many events in the UK which has raised some money to help cancer research.